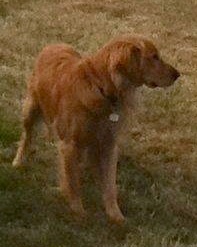 Additional Notes: Golden color large dog..medium legnth coat wavy and large fluffy tail..very friendly but may be skittish at first..loves to ride in cars and go to the beach,,Gate was open when we returned home..Teddy is unable to open main gate so I know he didn;t do it..About the 3rd time the gate has been left open but he always came home within a few hours if he got out..Has been missing since about 2pm on Sat Dec 29th. 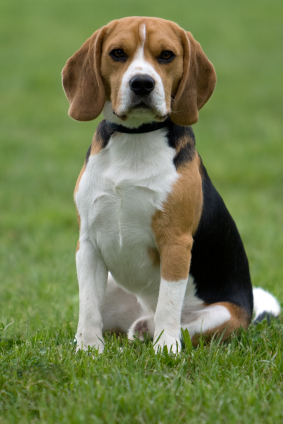 Additional Notes: She is a Beagle hunting dog, she is very friendly. She is overweight. 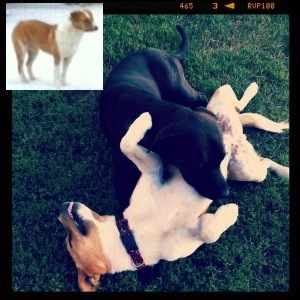 She has a thin coat, with brown/black white markings on her. 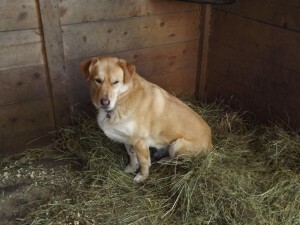 Her owner had her up in the woods hunting rabbits with her when she got a scent and ran. This is her and her husbands hunting dog. Additional Notes: All black except for his chin. It is whiter than in the photo, the photo is from the summer. Very friendly to people and dogs. Believe that he may have left the yard following a stray hound. 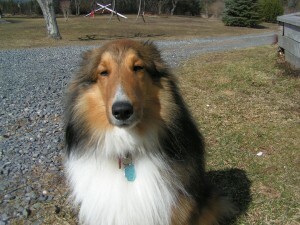 Additional Notes: Maryjane: Friendliest dog ever. Dro: All black with a white patch on his chest. 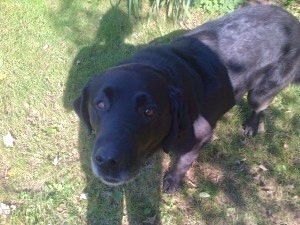 Very friendly dog, please take them in and contact us if you see them. Additional Notes: Comes to the name of Charlie, he ran off when fireworks were set off. 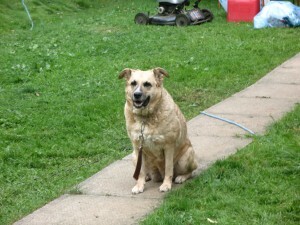 Additional Notes: She is wearing a choke chain collar with no tag but she does have a micro-chip. 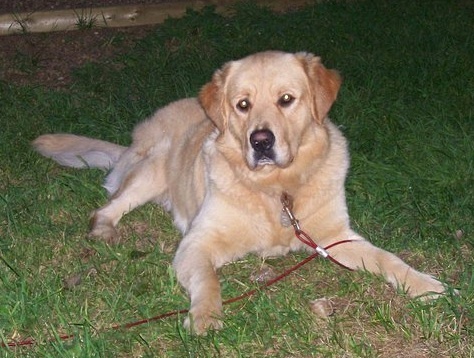 She is blonde with black on her tail, she is extremely friendly and loves people, especially children. She has 2 sores on her right front foot from licking, She hasn’t been seen since Dec 25th around 9pm when she got off her chain while playing with the other dog, i have searched the area for her and have seen no signs of her around. Additional Notes: She has a yellow, medium length coat. About 65 pounds, very friendly. Additional Notes: Friendly dog. 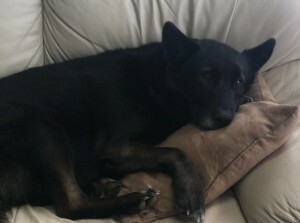 He has a short black coat, is about 80 pounds. He has a stocky build. 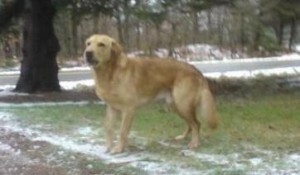 Additional Notes: Murphy is medium to dark golden colour. He’s not fixed. Very gentle, friendly and playful. He loves the water and loves children and other animals. It’s believed that he wandered into the woods on the 23rd so it’s possible he went as far as Black Pond Road/Wedgeport or even further. No voicemail on cell phone’s but there is an answering machine on the primary phone number.